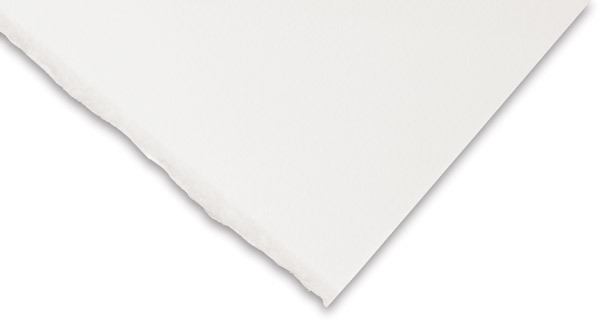 Arches Platine Paper is a 100% cotton, acid-free paper made with no optical brighteners. This mouldmade, 310 gsm paper features a smooth surface, bright white color, and a deckle edge. It is acid-free, alkaline-free, and pH-neutral. Created in conjunction with fine art photographers and specially sized for platinum printing, Arches Platine is recommended for platinum and alternative photo processes. It has been adapted to the conservation of photographic works sensitive to alkalinity, such as blueprints, drawings, platinum, or palladium, as it does not contain an alkaline reserve. Arches Platine satisfies the conditions of photographic activity tests according to ISO 14253 PAT. Shipping Note — Due to manufacturer distribution restrictions, Arches products cannot be shipped to addresses outside of North America.